Bottom line, I highly recommend both Strava.com and Relive.cc! Check them out! One of the many benefits of running a race distance in which you have minimal experience is that you are almost assured of achieving a personal record. Happily, I did so in today's race, with an average pace 30 seconds faster per mile then my prior - much hillier - 10 mile race experience over five years ago. Chip time: 1:18:31, pace: 7:51, age place; 10/80, male: 147/933, overall place: 184/2,262. Splits: 7:30, 7:32, 7;32, 7:49, 8:21 (sock hurting), 9:08 (sock repair! ), 7:45, 7:39, 7:39, 7:37. 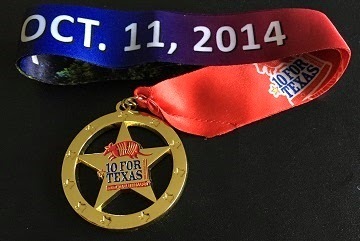 I had a great race experience both due to my PR, and as the weather was decent, the volunteers friendly and helpful. I did have a problem though with my pair of Injini toe socks. I'm not sure why, as I've worn them previously without problems, but at mile five they pulled up at the heel pinching my toes painfully and I knew I wouldn't be able to finish. So, I removed the socks entirely which solved the problem, but it was agonizing to sit alongside the road as hundreds of runners passed me. In any case, it was the right decision, as with my painful socks removed I was then able to step up the pace and recover lost time. Lesson learned: on race day only do that which you have done before many, many times. Finishing the race in the Woodland's Market Street was fantastic as the race organizers had arranged for excellent food and drinks. Thirty minutes prior to the race beginning the race organizers hosted a kids' K which was also fantastic to see and I enjoyed cheering for all the kids, and their parents. 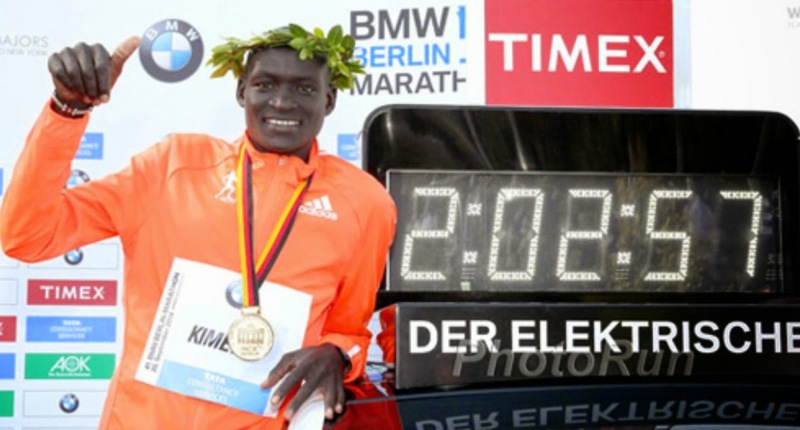 Yesterday, for the sixth time in the last twelve years a talented runner at the Berlin Marathon set another world record, with Kenyan Dennis Kimetto doing so by an astounding 26 seconds! Finishing in 2 hours 2 minutes 57 seconds this translates to an average pace of 4 minutes 41.5 seconds per mile, a great pace for one mile, and an unfathomable one to nearly all runners for 26.2! Since Khalid Khannouchi set the marathon record in London in April 2002, the record has been broken half a dozen times, on average, once every two years. Interestingly, each of the six world records happened on the flat and fast Berlin course, on average by a 27 second margin. On the assumption that the next dozen years follows the pattern of the prior dozen, the sub-two hour marathon will be broken within that time. Personally, I believe this super achievement will occur far sooner. First, Kimetto already demonstrated that he possesses the needed leg speed, had he run the full marathon at the pace that he ran between 30 and 35 km. Second, and most important, the mega-motivation of a fantastic financial and fame reward will entice many other talented marathoners to the requisite level of physical and mental conditioning. Typical runners train on average one to two hours daily. As with most individuals with desk jobs, even runners' lives are otherwise sedentary. The Apple Watch technology, continuously connected to the internet via the user's Bluetooth connected iPhone will operate continuously on behalf of the user, promoting healthy habits including standing more often and taking the stairs whenever possible. The Apple Watch's familiar, yet new interface, strapless heart rate monitor and accelerometer combined with the iPhone's barometer, cellular-assisted GPS, motion co-processor, an intuitive user interface and third-party Apps will usher unimagined new capabilities. Cardio-based fitness aficionados of all types will hugely benefit from the Apple Watch's integrated heart rate monitor. It must be noted that this is despite most such individuals already owning a conventional chest strap based heart rate monitor, such as Garmin's or Polar's. The reason that I and most runners rarely use our conventional heart rate monitors is that their straps are typically constrictive and uncomfortable. Consequently, having readily available heart rate measurement conveniently displayed on the runner's Apple Watch with no required chest strap will allow the runner to vary the intensity of their exertion, to share their training with their coach or friends, and via an easy yet sophisticated analysis of the results to see and improve their fitness. As with many committed runners I am fortunate to train with a group during my long Saturday morning runs during which we follow the coach's pre-planned route (e.g. : one from my Kenyan Way group.) To avoid getting lost along the often complex, frequently changed and lengthy route we study it in advance and bring along a printed copy. A far better solution will that provided by the Apple Watch as the runner can pre-program their route, then allow the Apple Watch's vibration based haptic feedback to silently alert the runner to each forthcoming turn. 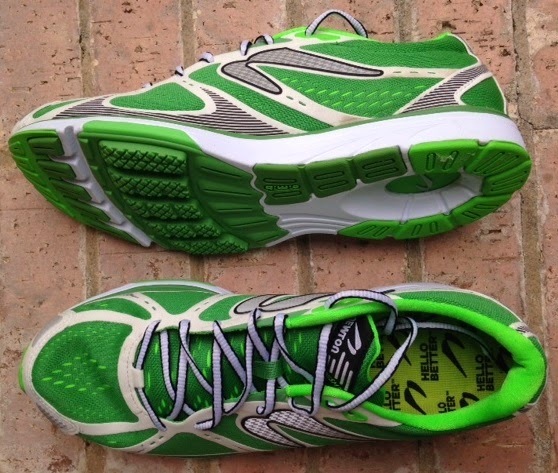 This capability will help the runner safely navigate while allowing the runner to relax and enjoy varied new routes. Just as Apple's iPhones' App platform opened the door to new and creative content which hugely extended the leading smart phone's functionality into unanticipated areas, the Apple Watch similarly being open to App developers via the soon to be released WatchKit will quickly grow new Watch-specific Apps. For example, as a fan of the excellent iSmoothRun iPhone App I have been in touch with its developer and am delighted that iSmoothRun will offer an Apple Watch App. The Apple Watch will allow the runner to make payments for potential expenses incurred during the run from supporting merchants, thereby relieving the need to bring cash for the run. As noted, the Apple Watch user will need their Bluetooth connected iPhone 5+ phones to enable these capabilities. While many runners are uncomfortable at the prospect of bringing their smart phones on their runs, as I had noted over one year ago I have exclusively monitored my runs' distance and pace using the iSmoothRun App on my iPhone 5, carrying it in my belt or in an arm carrier. The App's periodically announced mileage, pace and cadence generally satisfies my needs, though in the future I will appreciate having this information available at a glance. Pending my getting my hands on the Apple Watch hopefully early next year it is premature to be fully confident in these high expectations. Nevertheless, I believe that Apple will help many Americans strengthen their commitment to fitness and health. 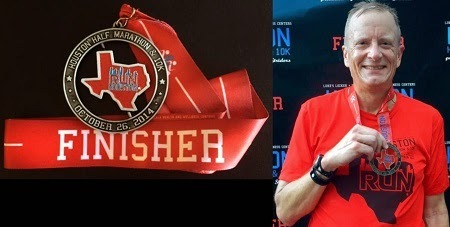 As a Houston runner who trains year round I have been looking for a better hydration solution than the constrictive FuelBelt, or hand-held water bottles which hinder the natural running motion. I then tried Simple Hydration's water bottle after seeing its positive reviews on Amazon, and am glad I did as I love it! Its unique feature is that it rests on your running short's rear waistband, and nestles between it and the small of your back, thereby requiring no supplemental belt and leaving your hands fully free. As its 14 Oz. total weight is near the body's center of gravity it is barely perceivable, feels comfortable, and you can rest easy as it is BPA free and is top shelf dishwasher safe. In summer months I like to freeze my water bottle before my runs. With the Simple Hydration bottle it nicely cools the small of my back while gradually thawing its contents, providing a wonderful cold drink of water which lasts me perfectly on my typical mid-week six mile training runs. If similarly used with ice versus water I recommend: 1) Not filling the bottle fully with water before inserting into the freezer the night before to accommodate the expansion of ice and prevent possible damage to the bottle; 2) Placing a thin sock around the bottle to protect the skin while providing insulation to keep the water cool longer.